teeth, and tumours. Prevention of most rodent diseases is best achieved by maintaining good hygiene habits and reducing potential for stress. 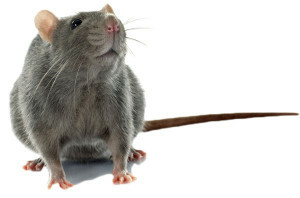 Respiratory infections are commonly seen in pet rodents. Signs include nasal and/or eye discharge in mild infections, and wheezing, coughing, and open-mouth breathing in severe infections. The sicker animals often stop eating and become lethargic. Bordetella is one such bacterium that affects guinea pigs and can be fatal. Since rabbits carry this organism without showing signs of illness, some authorities recommended that rabbits and guinea pigs not be housed together. Others, however feel that the risk is small and that rabbits and guinea pigs make excellent cage companions. In mice and rats, this is often caused by a mycoplasma, a type of bacterium. Other agents, such as Pasteurella and Streptococcus bacteria, can also cause pneumonia. Regardless of the exact cause of respiratory disease in pet rodents, respiratory infections are common. Anything that predisposes the pet to a respiratory infection (such as dusty cage bedding or dirty flooring that holds in ammonia from the pet’s urine) should be corrected to lessen the incidence of respiratory problems. Anorexia and lethargy are among the most common signs seen in sick pet rodents. Unfortunately, while this type of complaint does confirm that SOMETHING is wrong, it doesn’t tell the vet WHAT is wrong. ANY disease can cause an animal to not feel good. As with other exotic pets, the sooner a sick rodent is seen and treated, the better the prognosis (chance of cure). All rodents have teeth that grow continuously throughout their lives; occasionally these teeth grow too long and cause the pet to stop eating. Sometimes you might see your pet drooling or having a wet chin (“slobbers”). Often the front teeth, the incisors, have overgrown and are interfering with eating. Sometimes the back teeth, the molars, have overgrown and make eating painful. Cancer is often seen in pet rodents, most commonly as external tumours. Mammary tumours are probably the most common type of cancer seen and are especially common in pet rats and mice. Amazingly, breast tissue in these pets covers most of the body, so breast cancer can even appear as a lump on the back of the pet! How are rodent diseases treated? Respiratory diseases are easily diagnosed based on clinical signs; radiographs can be used to confirm a diagnosis, and antibiotic treatment is indicated. Supportive care in the hospital, including force-feeding and fluid therapy, may be needed for pets with serious infections. ability to perform certain diagnostic tests, such as the difficulty encountered when trying to draw blood from most pet rodents. Overgrown teeth need to be trimmed. Trimming the incisors is done under anaesthesia with a rotating burr. The diagnosis of overgrown molars (back teeth) usually requires anaesthesia and xrays; treatment is trimming of the molars. The disease can often be prevented by offering something for the pet to chew, such as a block of wood. Tumours are removed surgically under anaesthesia. Intra-abdominal tumours can often be removed, but the procedure is more difficult than for removal of external tumours. The earlier the tumour is removed, the easier the surgery. 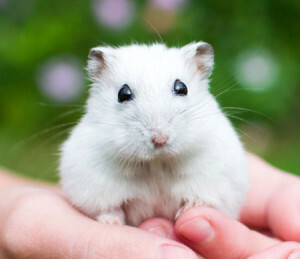 How can I tell if my rodent is sick? Signs of disease in rodents may be specific for a certain disease. Most commonly, however, signs are vague and non-specific, such as a rodent with anorexia (lack of appetite) and lethargy, which can be seen with many diseases including pneumonia, cancer, and even kidney or liver failure. ANY deviation from normal should be a cause for concern and requires immediate evaluation by your veterinary surgeon at Warrnambool Veterinary.